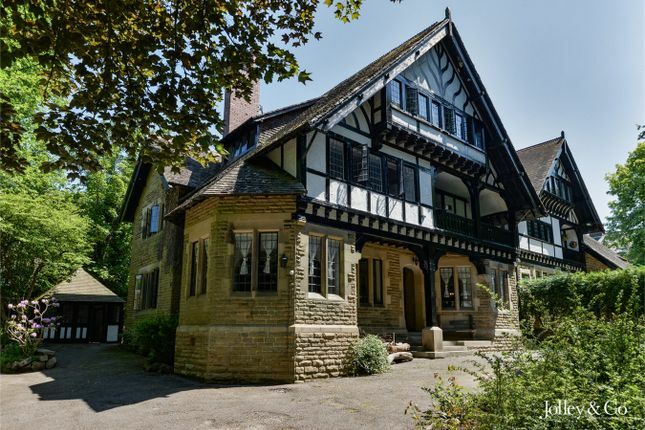 Built by Parker & Unwin architects; accredited founders of the Arts & Crafts Movement! ( watch our real walk through video tour now ) Anyone who knows anything about the Arts & Crafts Movement will be immediately drawn to this important and historic Grade II listed building as it was the very first to be built by Parker and Unwin, the architects accredited as the founders of Arts & Crafts. Sevenways is the left hand one of the pair of Victorian semi-detached villas they designed and built in 1895/96, the right hand being known as Somersby. In April 2007 the Buxton Conservation Appraisal identified the properties as ‘A series of highly individual Arts & Crafts houses arguably of national importance’ and the exterior is very much as it was when first constructed with its dressed stone features and entrance via a central recessed canopy with flat-headed Tudor style door and high Tudor style gable to the two floors above. At the first floor the jettied gable has a balcony to the right with a 5 light window to the left and the second floor above having a more unusual 8-light oriel window. From what can be seen, much of the interior of Sevenways also survives intact and of particular note the dining hall with its original corner fireplace with copper canopy and the distinctive canted bay to the corner of the house. In 1904 Parker and Unwin were retained to implement the design plan and detail for Letchworth Park and Unwin’s successful master plan for the first Garden City thrust them into the limelight, at the same time gaining them worldwide recognition. With so much of the original architecture still visible this gives the potential buyer the opportunity to restore and refurbish a very substantial Victorian Villa with accommodation over three floors and a basement level which also has the scope for a further conversion. The previous owners had run the property as a guest house and therefore alterations had the inclusion of several fire doors to comply with regulations. However, the current owners have submitted plans to restore the property as four exclusive luxury apartments, as the size of the villa lends itself in these times, for a more manageable size of accommodation, all set in one of the most desirable locations close to the Pavilion Gardens. 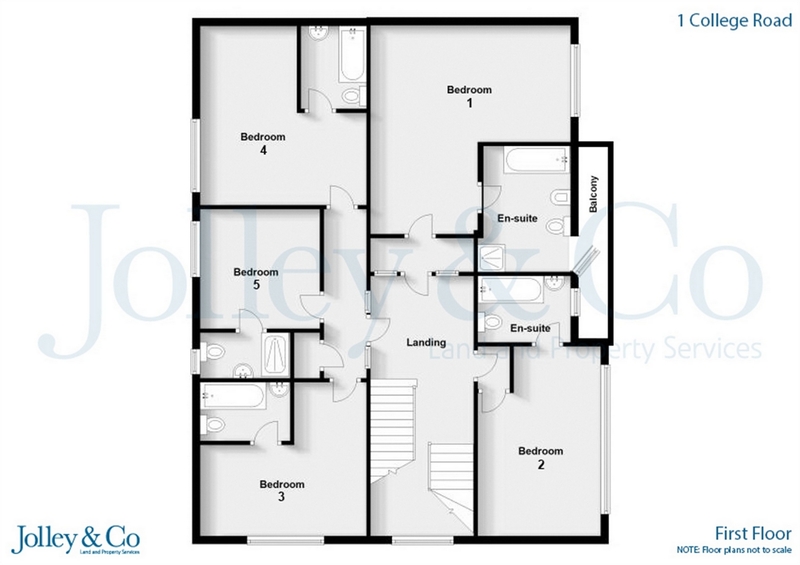 The ground floor currently offers an entrance vestibule, reception hall, dining room, living room, sitting room, cloakroom with WC, utility room and large dining kitchen. The basement has five rooms and additional storage areas whilst the first and second floors offer nine bedrooms seven with en-suite facilities and an additional family bathroom. The property stands on a corner plot with established gardens and ample parking areas together with the original garage/summerhouse to rear of the villa. **Please note that full planning permission and listed building consent was granted on 19th June 2018 for the conversion of a single dwelling into 4 apartments. Full details are available on the High Peak Borough Council planning portal under application numbers hpk/2018/0198 and hpk/2018/0199. Buxton is one of the best known Spa Towns in this region of the country, heralded for the Buxton spring water filtered down through the areas limestone which made this a most fashionable area in Victorian times. For more information select the Location tab on our website and click on the Buxton icon on the map. Virtual tour / HD video : We encourage you to watch our real video walkthrough to get a detailed appreciation of this property. If you are viewing this listing on Rightmove or Zoopla the video / virtual tour link may not be visible. If this is the case please search for the property on our website () or our app to view. Download our app : Enjoy mobile friendly browsing of our properties and our real video tours now: Simply search the app store for ‘Jolley & Co’! Please note our app is available on the android and apple platforms only. Disclaimer: Jolley & Co (North West) Ltd for themselves and for the vendors or lessors of this property whose agents they are give notice that: (1) all measurements are approximate and any plans provided are not to scale; (2) the particulars are set out as a general outline only for the guidance of intending purchasers or lessors, and do not constitute, nor constitute part of, an offer or contract; (3) we have not tested and apparatus, equipment, fixtures, fittings or services, and so cannot verify that they are in working order or fit for purpose; (4) solicitors should confirm moveable items described in these particulars are, in fact, included in the sale since circumstances change during marketing or negotiations. 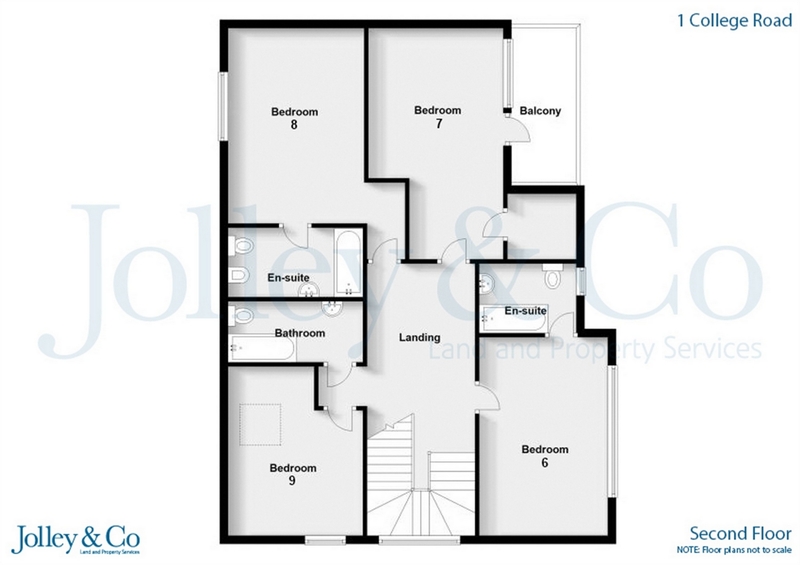 Accessed from a covered porch, entrance door, tiled flooring, ceiling coving, door to Reception hallway. 11' 10" x 9' 11" (3.61m x 3.02m) Staircase to first floor, fireplace, radiator, parquet flooring, leaded window. 21' 5" x 15' (6.53m x 4.57m) Feature corner bay window, parquet flooring, corner fireplace. 17' 11" x 16' 10" (5.46m x 5.13m) Inglenook fireplace with open fire, leaded windows, two radiators, ceiling beams. 15' 4" x 14' 6" (4.67m x 4.42m) Leaded windows, two radiators, ceiling coving. Low level WC, pedestal wash hand basin, two windows, radiator, stripped wood flooring. Single drainer sink unit, space for washing machine and fridge/freezer, leaded window. 24' 3" x 15' 9" (7.39m x 4.80m) Wall and base mounted units, single drainer sink unit, space for range style cooker with extractor over, door to garden, leaded windows, wood effect flooring, door leading to cellars. Extensive cellars with good head height with a total of five rooms plus sub floor and storage room. A spacious landing with leaded window and stairs to second floor. Panelled bath, low level WC, pedestal wash hand basin, leaded window. Panelled bath, bidet, low level WC, pedestal wash hand basin, radiator, shower cubicle. Panelled bath, low level WC, pedestal wash hand basin, part tiled walls. Shower cubicle, low level WC, pedestal wash hand basin, leaded window. Spacious landing with leaded window. Panelled bath, low level WC, pedestal wash hand basin, leaded window, part tiled walls. 11' 9" x 10' 11" (3.58m x 3.33m) Part restricted ceiling height, Velux style window, leaded window. Detached summer house with electric power and lighting. Generous gardens to three sides of the property and ample parking. The property is council tax band G with High Peak Borough Council. 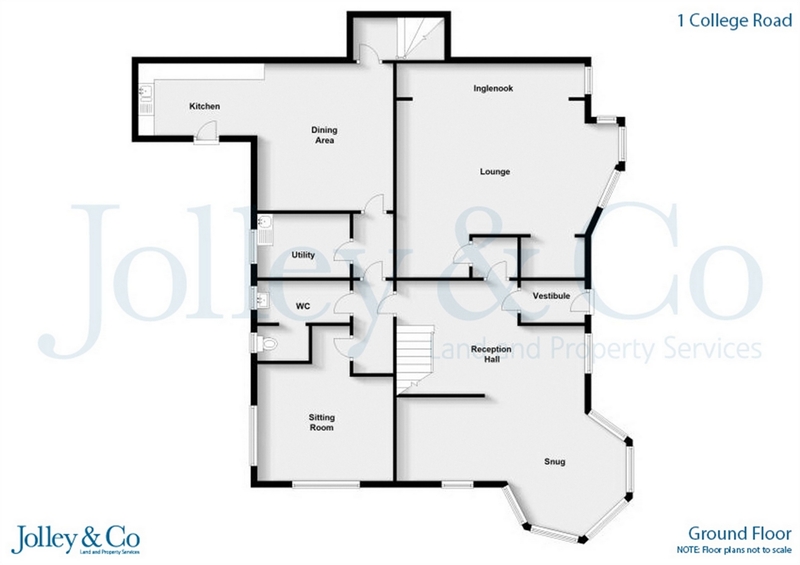 Property descriptions and related information displayed on this page, with the exclusion of Running Costs data, are marketing materials provided by Jolley & Co UK, and do not constitute property particulars. Please contact Jolley & Co UK for full details and further information. The Running Costs data displayed on this page are provided by PrimeLocation to give an indication of potential running costs based on various data sources. PrimeLocation does not warrant or accept any responsibility for the accuracy or completeness of the property descriptions, related information or Running Costs data provided here.